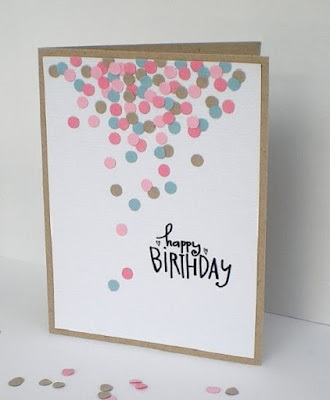 You can easily make these types of spots yourself with different coloured paper and a hole punch. 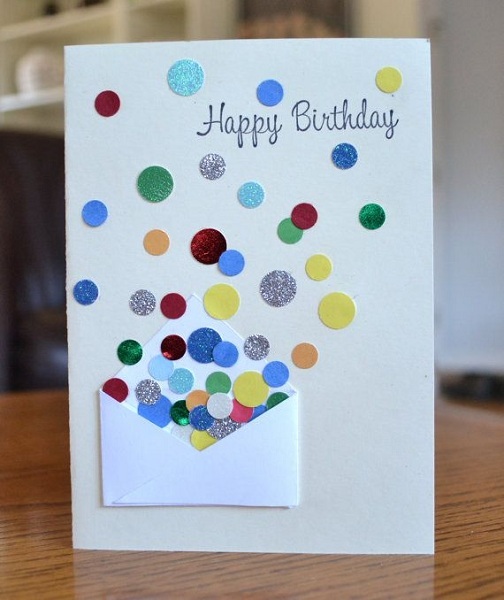 Tip: Fold the paper and punch it in several layers to create more spots. You could experiment with metallic or printed paper for different looks. Tonal colours work well for adults, and bright contrasting colours are fun for kids. You don't have to be too precise and glue each spot - spread some glue (Pritt Stick type glue works best) on your card and sprinkle spots for a more random effect. You can add other 'accessories' to your card for the spots to appear from - we love the envelope used on the card above.